Full disclosure: I hate spoilers in reviews, so there won’t be any in this one. Except maybe for waiting to tell you what I thought of it until the end of the review. I loved Disney’s FROZEN. FROZEN is the best movie I’ve seen this year. I’ll get into more details in the review, but this movie is for everyone. There are some intense moments, but it’s beautiful and engaging and I can’t wait to see it again with my nieces and nephews (separately, hopefully, so I can see it twice more). Continue reading for the full Disney’s FROZEN review including the new Mickey Mouse short “Get a Horse,” and click here for even more images, trailers, and activity sheets for Disney’s FROZEN. Adventures by Disney has introduced a new trip inspired by FROZEN, taking adventurers to Norway, where they’ll explore fjords, go river rafting, learn Nordic folk dancing, and visit the town that inspired Arendelle, the kingdom in FROZEN. I got a little thrill when the next commercial came on. I can’t believe it’s already that time of year – ABC Family’s the 25 Days of Christmas. Will your favorite Christmas film make the cut this year? Mine’s “Elf.” What’s yours? We also saw a preview for Disney Channel’s new Sofia the First: The Floating Palace movie, which premiered on November 24th, in which Sofia meets an interesting new friend. 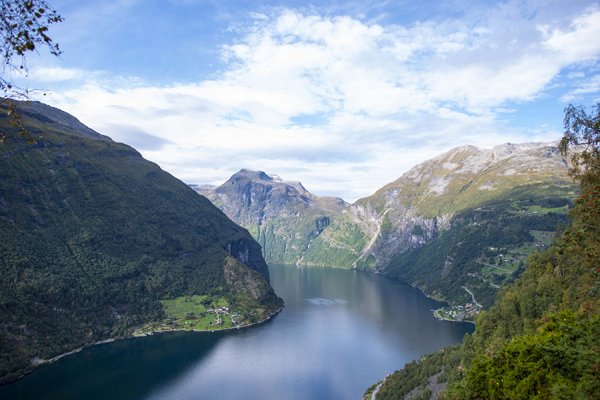 Guests can visit the renowned Geirangerfjord, a UNESCO World Heritage site, and home to the Seven Sisters waterfall in Norway on the latest Adventures by Disney vacation. 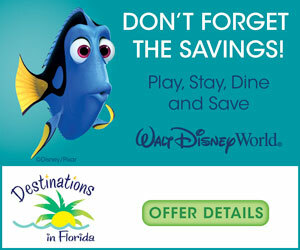 Image courtesy Adventures by Disney. And now on to the good stuff. You may have already heard that there isn’t a Pixar short for FROZEN, but this short is exciting for different reasons. 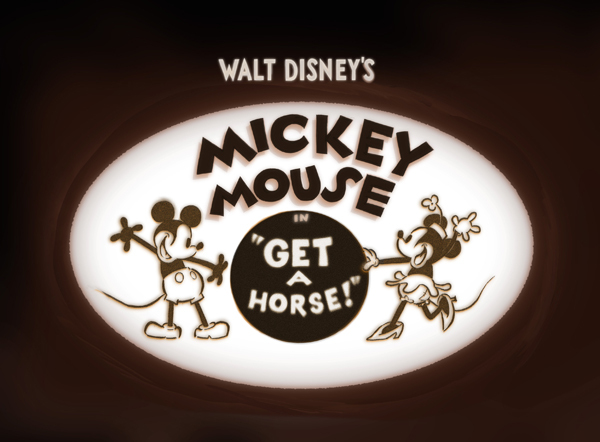 The newly-discovered Mickey Mouse movie, “Get a Horse,” has been tweaked and teased and imagineered into a funny little film starring Mickey and his early friends (yes, Minnie’s there, but that’s as much as I’ll tell you). While I did laugh, this didn’t feel like a Mickey Mouse movie. It reminded me of Warner Brothers movies, where the characters are mean to each other, which isn’t something I remember from the classic Mickey movies. It was exciting to see that Mickey was voiced by Walt Disney! There seemed to be an anti-technology message, but I might be reading too much into a very short piece. FROZEN is the tale of Anna and Elsa, sister princesses from Arendelle in Norway. Elsa is different from everyone else in one key way. Her parents, though they love her, are ashamed and afraid of what others will think and, after Elsa hurts Anna accidentally, they lock Elsa away from the world and from Anna, closing all of the castle so that no-one will guess the secret of Elsa’s difference. They teach her to “Conceal it. Don’t feel it. Don’t let it show.” Elsa, horrified at having hurt Anna, her beloved sister and playmate, takes their lessons to heart and refuses all of Anna’s pleas to come out and play. “FROZEN” Arendelle Castle. ©2013 Disney. All Rights Reserved. The girls grow up (facilitated in the story by a wonderful song) and the time comes when Elsa has to make a public appearance (there are some things a first-born princess must do) and that’s where the real trouble begins. FROZEN takes us through the drama and adventure of the public discovery of why Elsa has been locked away and her second retreat, in which she blossoms, finally embracing herself as she is and believing that her solitude will keep her from hurting Anna again. (L-R) THE DUKE OF WESELTON, ANNA and ELSA. ©2013 Disney. All Rights Reserved. This is the tale of two sisters, though, and Anna’s story is not secondary to Elsa’s. She has spent a lifetime being rejected by her sister, but shows just how deep sisterly love is, embracing and supporting Elsa without knowing the reason for the years of rejection. She, too, has been locked away from the world and her first experiences are exciting and dramatic and romantic. She has never lost her openness of heart and that carries her through the story. There is a secondary storyline, too. It’s of Kristoff, a little boy (possibly an orphan) who appears as a key part of the opening of the film (an ice harvest full of singing Norsemen and the little Kristoff and his pet reindeer, Sven), then, after a brief appearance during the incident that leads to Elsa’s isolation, he disappears until adulthood. A throwaway line in that opening scene sets the stage for a later scene. I wish they’d developed that storyline a little better, because it didn’t make a lot of sense to me. His relationship with Sven is charming and brings a comedic element to the story, lifting it and keeping the film from being pure drama. (L-R) KRISTOFF (voiced by Jonathan Groff) and SVEN ©2013 Disney. All Rights Reserved. Another secondary character, the Duke of Weselton, drives the drama and creates friction for the story. Every Disney movie needs a villain or two, right? The first time his name is mispronounced as Duke of Weaseltown, it was only slightly amusing. It got less so when it was repeated in an attempt to be clever. If I’m going to mention the Duke, then I have to mention the two sidekicks (not the Duke’s), Sven and Olaf. As mentioned before, Sven is Kristoff’s reindeer, but acts more like a dog than a reindeer. Olaf is a bit of a curiosity for me. He doesn’t really make sense in the film, but he is lovable and funny (he likes warm hugs) and necessary to the flow of the film. He’s a snowman that has come to life, but there’s never any real explanation for how or why that happened and there aren’t really any other “animated” inanimate objects in the movie. I appreciate Olaf and his presence, but I’m curious and confused about how he got there. OLAF (voiced by Josh Gad) ©2013 Disney. All Rights Reserved. Some of my favorite scenes from the film include Anna’s bedhead, the scene in which Anna recreates poses from paintings around the halls of the castle, casting, and the first major result of Elsa’s determination to be herself. Elsa throws off her past and embraces her differences, if only to herself, finally becoming the woman she was meant to be. That scene is a revelation. If kids everywhere watching that film don’t take away the message that they should always be themselves, then they were just blinded by the magnificence of what was playing out on the screen. I also loved the disclaimer at the end of the movie, tucked into the credits, about an opinion expressed by Kristoff not necessarily being the opinion of Disney or anyone connected with the making of FROZEN. Speaking of credits, stay through the end, there’s a little cuteness before the screen goes black. Which brings us to the themes of the story. Nice segue, huh? As I just mentioned, being yourself is the big message that kids (everyone, really) will get from FROZEN. Boy, what a difference it made for Elsa! From Anna, we learn to be loyal, loving and true. Both girls are heroes in different ways and we can all learn from both characters. I hope parents take away the message that not accepting your children as they are and helping them to learn and grow whatever their challenges or differences might be is a much better path, because people are who they are fundamentally and that doesn’t change no matter how hard you try to repress it. Without giving too much away, I think another of the key messages, for girls, especially, is that love has many different meanings and romance is just one of those meanings. The love of these two sisters is powerful, driving their decisions and outcomes throughout the movie. I love the music in this movie! You should all watch the movie, then buy the soundtrack (you don’t want to get any hints from the songs before you see the film). 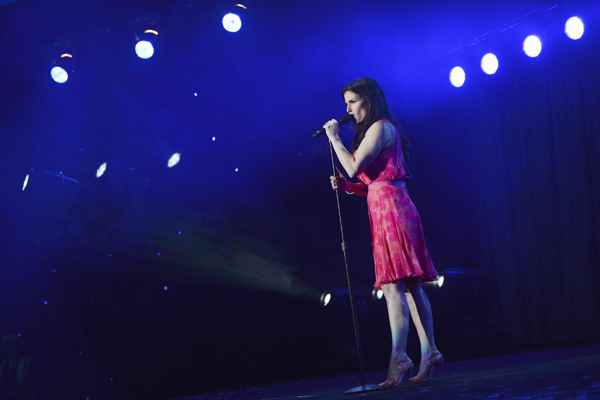 “Do You Want to Build a Snowman?” and “Let It Go” are my two favorites – giving each princess a hit song was very astute of Disney. The animation is great, too. The backgrounds, the Nordic styling, Elsa’s castle… I loved it all. Elsa’s ice palace. ©2013 Disney. All Rights Reserved. In case it wasn’t clear throughout the review, I loved this movie. Why? It’s a great movie to watch. It’s a visual feast. The music is delightful – one of the best Disney soundtracks I’ve heard. The characters are appealing and engaging and you want to love them all. There is plenty of humor and heart, action and adventure, even romance and heartbreak. Well done, Disney, for creating another princess story about love that doesn’t have romance as the focus, though there is a bit of that, too, for flavor. Are you still reading this review? What are you waiting for? Go see FROZEN! Me: What was your favorite song? Me: Who is your favorite character? Thanks for the great review, George! I can’t decide if I want to see this in the theater or wait for DVD, but I heard the 3D is actually worth it with this one. I agree with your take on the short – they showed it at the D23 Expo, and while I was able to appreciate the direction they were trying to go in, I just didn’t feel like it knocked it out of the park. Although hearing Walt as Mickey was great! The director said they had a really hard time with the word “red” – that they couldn’t find it in any of the recordings so they had to work a little magic to make it work. As far as seeing it in the theater or waiting, I would see it in the theater, especially for the scene with Elsa’s castle and “Let It Go” (that song is still in my head). Amazing visuals! That’s adorable!! Those songs are really addicting – they just seem to stick with you. I ended up seeing it in the theater and LOVED it! I fell in love with the soundtrack before seeing the movie which is something I wouldn’t normally do, but I think it really made me love the film so much more. I already felt connected to it and excited to finally be able to place the visuals to the music. I can’t wait to see it again!! Adventures by Daddy’s Going to Hollywood! And We Need Your Help, Kids! 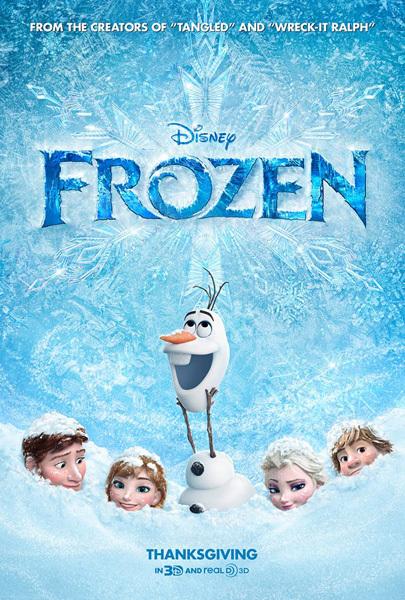 Disney’s FROZEN – Do You Want to Rig A Snowman?